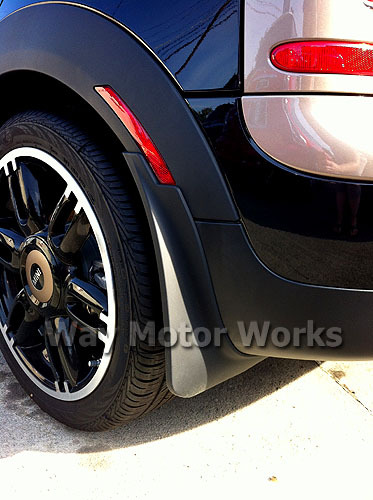 Rear Mud Flaps for 2008-2013 R55 MINI Clubman and Clubman S. For mud flaps I have to say these look pretty good. On top of that these are very functional as they will keep the rear of your MINI Clubman much cleaner. These are a OEM MINI set, not a cheap aftermarket set. sold as a pair of Rear Clubman mud flaps, with mounting hardware.